Ruth has been sharing the language and song of her native land (the Isle Of Man) for much of the past decade, and her 2014 debut solo album Sheear was critically acclaimed, bringing Manx heritage and culture a significant profile boost. There’s evidently something of a treasure trove of fairly unknown music to be discovered, and Sheear was the tip of the iceberg. Its direct successor, Turrys, in the obvious sense continues on where Sheear left off, with a further sequence of appealingly presented songs and tunes from the Isle, both traditional and contemporary in origin and sung with fluent ease both in English and in Manx Gaelic. 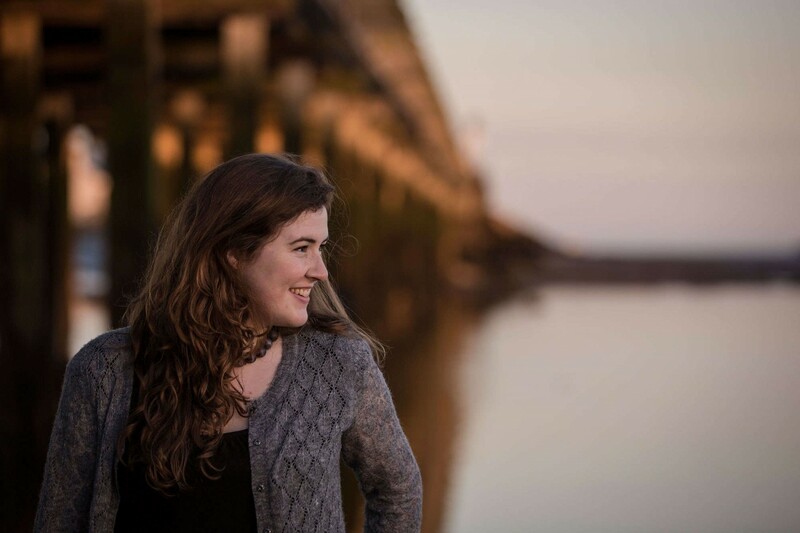 Ruth’s charming, limpid yet warmly expressive singing voice is supported by her outstanding trio of regular backing musicians – David Pearce (guitar), Vanessa Hutchinson (double bass) and Eoghan Ó Ceannabháin (wooden flute, concertina). Ruth’s own nimble (silver) flute playing graces the disc’s two instrumental tracks, where the interplay between the two flutes is scintillating and intuitive, and the rhythms delightfully sprung on tunes familiar to local sessioners – in this case, Manx jigs or marches of Irish origin. I could give honourable mention to Ness’s intelligent, lithe double-bass playing, but that might imply that David’s marvellously inventive picking or Eoghan’s excellent contributions are in any way less worthy, but that’s emphatically not the case, for every element in the instrumental soundscape is miraculous in both its sense of presence and its skilled management of dynamics. The overall effect may be cool and relaxed, but that doesn’t mean devoid of emotion of course. The tender lyricism of the guitar intro to the opening song Irree Ny Greiney (Sunrise) is of the stop-you-in-your-tracks variety, perfectly matched to blend into the song itself. This is one of two by contemporary Manx songwriter Bob Carswell, disc highlights without a doubt. The other, Ushag Varrey (Seabird), tellingly incorporates a sound sample of pistol shrimp underwater. Another highlight is the medley Carval, another item to reflect the ever-present ocean and its motion – it marries the Manx traditional Carol Of The Bad Women to a jaunty voyage-song (Turrys meaning journey) composed by Ruth herself with music by David and Ness. Another track inventively interweaves the traditional Manx song Little Red Bird with Americana staple In The Pines. This is a very satisfying disc, whose compelling yet understated performances and musicianship are complemented by a beautifully clear and well-balanced, crisply nuanced recording and a presentation package to match, containing a lavish 10-page booklet which includes all the lyrics and finely detailed notes.